Ameri-FLOORS | Commercial-Residential Carpets, Wood, Laminate, Vinyl & Plank | Corpus Christi, TX | Corpus Christi Rocks! 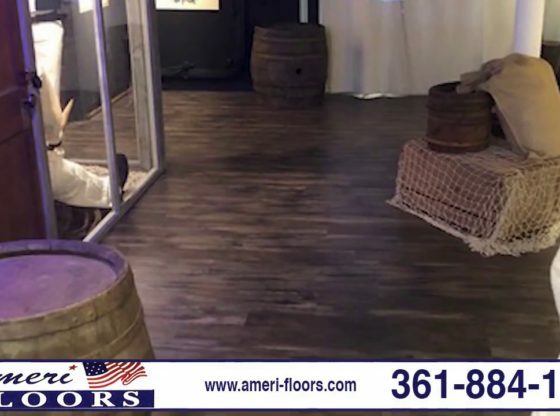 At Ameri-FLOORS we believe that to succeed in business means to give your customers the same service you would give to your family and that’s exactly what we’ve been doing for over fifty years. We not only offer a vast array of carpet, vinyl and wood flooring, but all our products are durable and from the brands you trust like Shaw, Mannington, Earthwerks and more. A Karndean Design Platinum Dealer we serve the needs of both commercial or residential clients. Our experts will help you find the flooring that is perfect for you and your budget. Our showroom features the latest in styles, colors, textures, and trends. Open Monday-Friday from 8:30 am-5:00 pm and Saturdays from 10:00 am-2:00 pm, stop by and see us today. You can also visit us online at http://www.ameri-floors.com/ or call us at (361) 884-1776. Location: 6009 Weber Rd, Corpus Christi, TX 78413. Welcome. Founded in 2005, Ameri Floors Atlanta is a flooring installation company focused on high quality service. Our services include: hardwood installation and refinishing, hardwood stairs, kitchen tile and backslashes and shower remodeling. Competition Flooring in Houston installs floor covering for commercial and residential applications. Our two discount outlet stores you can see quality wood, tile, carpet, stone and vinyl floors all at one place. Top-Brand Flooring for Less. Remnant Ranch “Top Choice Flooring” is your locally-owned and operated floor-covering store.What’s a Remnant? Our Remnants are first-quality, overstock and discounted carpet, vinyl, and wood products. Laminate floor, also known as pergo, is known for its durability and is a snap to keep clean. Laminate now uses advanced technology to achieve realistic wood and tile looks and textures that install by just "clicking" them together. Alliance Flooring Phoenix has been servicing Arizona for over 14 years! We stand behind our products and our services. Our guarantees protect you and your investment to ensure a confident, worry-free floor covering installation.